*Children should use ear protection only under adult supervision. 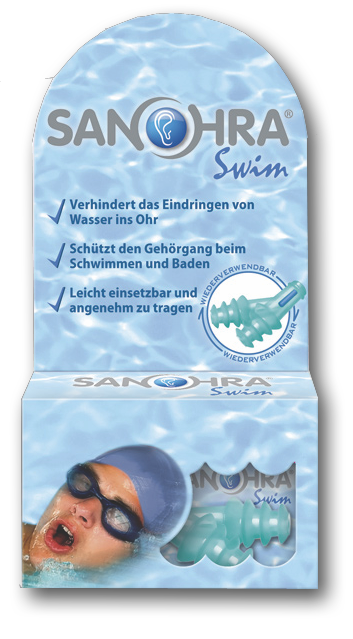 *Moisture in the ear canal creates the steam that on the protective ear wax (cerumen), which together with the body heat creates the ideal environment for the growth of bacteria, germs and fungi. This can lead to inflammation of the ear canal and eardrum (otitis externa). 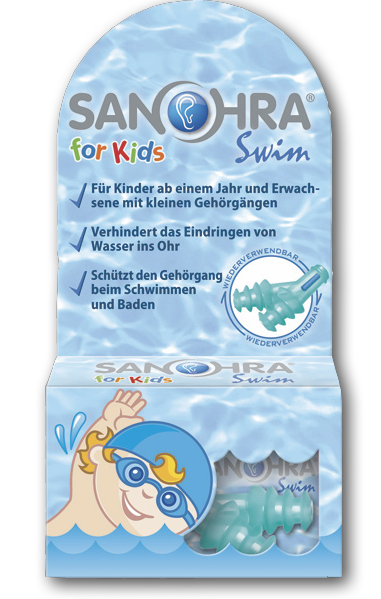 SANOHRA swim protects the ear canal and eardrum from entering the water.